Congratulations, Deacon Simon Mary Of The Cross, M. Carm.! Today was a very special day for the Mt. Carmel Monastery in Clark, Wyoming. At 9:00 am, in a simple and small ceremony in the monastery chapel, Br. Simon Mary, M. Carm. was ordained a deacon. 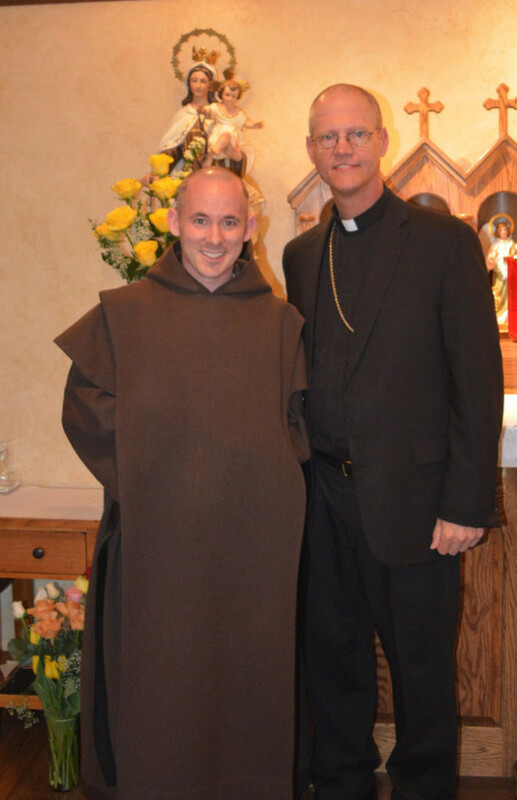 He will be ordained priest later this year on December 14 in the same chapel. Br. Simon Mary is the first ordination for the community since two priests were ordained in October, 2010. Br. Simon Mary is affectionately known in the community as ‘Little Monk.’ He is intelligent, humble, hard working, and has a beautiful spirituality. On top of his studies, he liaisons with the contractors, foundation board, and is one of the primary drivers along with the prior in working with benefactors to fund the new monastery. God is generously blessing their efforts. At present, there are 16 members of the Mt. Carmel community in Wyoming, and after the day I have spent with them, I can tell you they enjoy a vibrant spirit. The love of Christ is very much alive within this cloister! Over the years of my observations of this fledgling community, I can see a sure and certain maturity. They are a gift to the Church. As most of this readership knows, the Mt. Carmel monks began construction of their new monastery two years ago. We visited the site late this afternoon to check on construction progress. The monks are hard at work, carving the limestone and sandstone that will cover all of the buildings. They are also laying the stone in place themselves. With the winter season now behind us (I hope!) construction is kicking into high gear once again. Tomorrow, they will begin digging the foundations of their monastery church, one of the last buildings of the campus to enter construction phase. The refectory, chapter house, porters office and hermitages are fully under roof, and the foundations are now in place for the infirmary. Once in full gear, the job-site will employ approximately fifty laborers. In the coming days, they will have four stone-cutting machines in full operation. As you can imagine, it will take tons of stone to cover the exterior of all of the buildings. 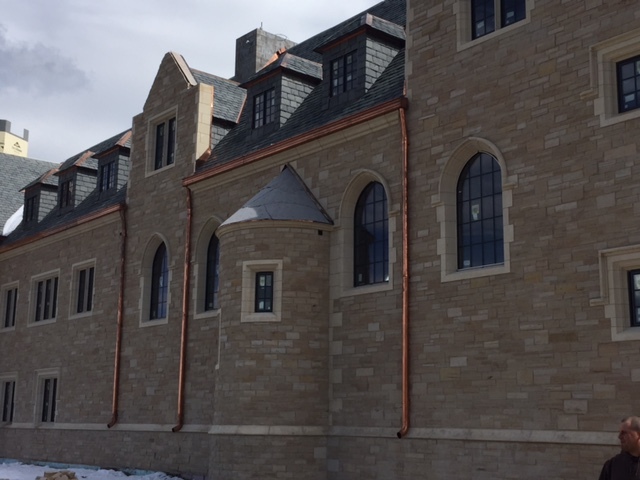 Below is a photo of the north side of the refectory building, giving you an example of just how much these monks have learned over the past two years, and the quality of their workmanship. They are building a monastery of which the church can be proud. And this bishop is quite impressed with the ‘temple’ they have already built within their community.